Potatoes South Australia CEO Robbie Davis has been named the 2016 South Australian Rural Woman of the Year for her work on reducing waste in the potato industry. Davis accepted the award on 22 February, and will use the A$10,00 award bursary to further research into waste management to benefit the potato and broader horticulture industry. 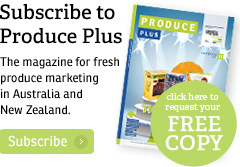 More than 20 per cent of Australia’s potato crop goes unused, according to Davis, who sees opportunity to build markets for second, and third-grade potatoes in value-added or processed products. Potatoes South Australia has been working with researchers from the University of Adelaide and the South Australian government to conduct consumer research into opportunities for potatoes that don’t fit into size and appearance specifications given by retailers. “There are plenty of opportunities for these lower grade potatoes, particularly in pureed food. 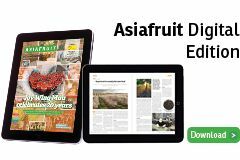 There’s potential to develop baby foods, and potential in the geriatric food market, or for the military food market,” Davis told Fruitnet, adding that some value-added or processed potato products are made using imported potatoes at the moment. 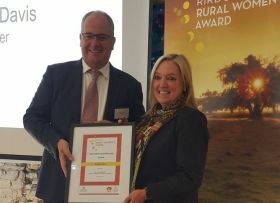 The Rural Industries Research & Development Corporation (RIRDC) sponsors the Rural Woman of the Year awards, which recognise innovation and emerging leadership in the horticulture sector, with the National RIRDC Rural Women’s Award to be held this August.